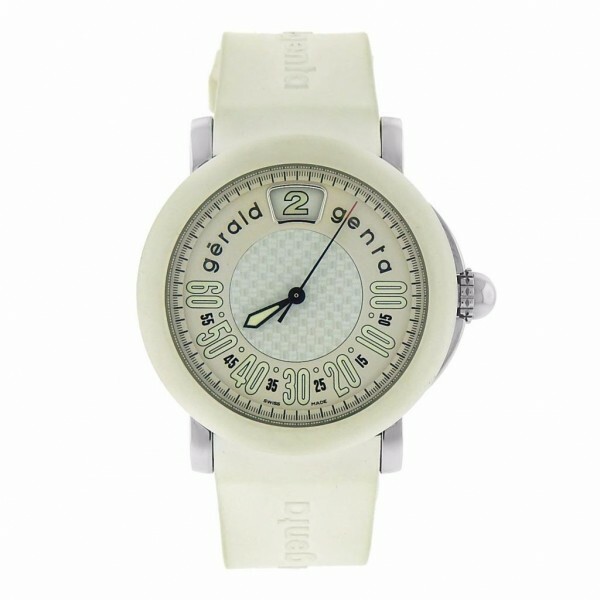 Own this beautiful Gerald Genta timepiece and enjoy this nice and complex features. 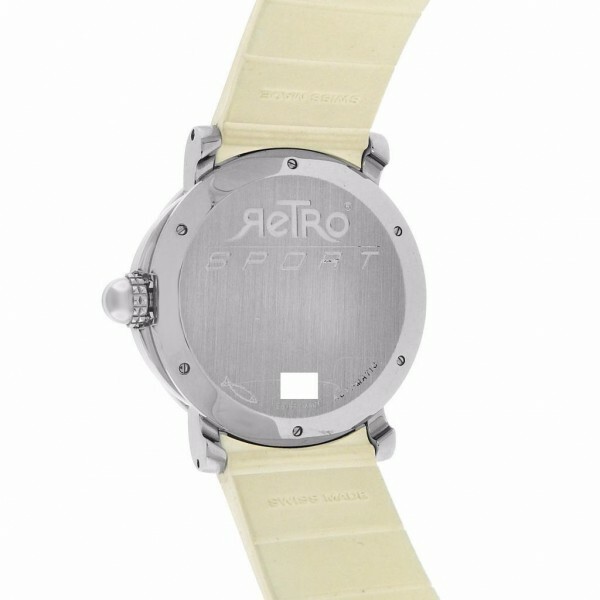 Watch offers you a white rubber strap and white rubber bezel with white Carbon fiber on Crème dial. 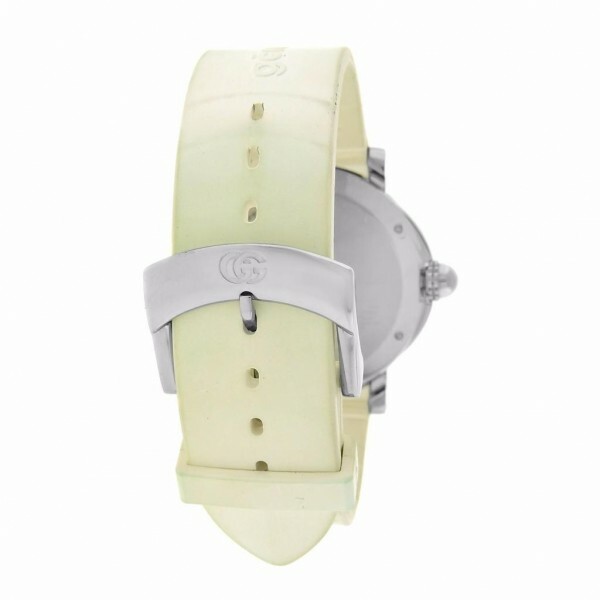 Watch has a stainless steel case with steel tang buckle. Watch displays a jumping hour at 12, and retrograde minute counter. This timepiece is different from your everyday watch giving you something fun to represent and enjoy. Watch shows regular signs of usage. Wear it in great health. Makes a great gift. Excellent like new condition with absolutely minimal signs of previous wear. 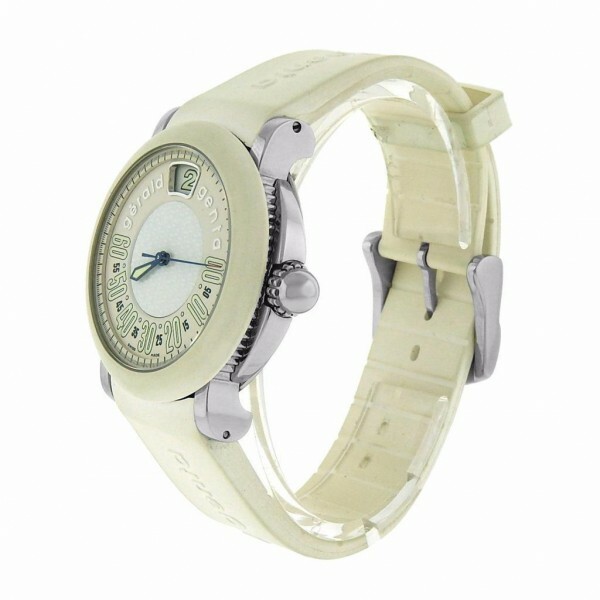 the Automatic movement is in perfect condition and keeps excellent time.